On February 15 and 16, the HIT Policy Committee and the HIT Standards Committee convened to hear testimony about thePresident's Council of Advisors on Science and Technology HIT Report. The hearings consisted of 5 panels. Here are the major themes. *It is important to maintain the context of a clinical encounter and to preserve the meaning when the data is reused for purposes other than as originally intended. *Capture structured data with appropriate granularity and controlled terminology. A "data atom" should be the amount of data that makes sense for the particular use intended. *Separate the syntax (the container used to send data) from semantics (the ontologies and vocabularies). Admittedly, in healthcare summary standards, syntax has been driven by semantics, so this separation would require careful thought. -Syntax is the study of the principles and rules for constructing sentences in natural languages. -Semantics is the study of meaning. It typically focuses on the relation between signifiers, such as words, phrases, signs and symbols, and what they stand for. -Information models or relationship types provide frameworks to maintain context. Explicit representation of context must be integrated into an evolving Universal Exchange Language and may require specification of an information model. *Evaluate the burden and timeframe and priority in the context of existing meaningful use and ICD10/5010 projects. *Simply exchanging data does not necessarily lead to useful and accurate data. We need to know how the data was captured, for what purpose, and by whom. *Use existing profiles/technologies and middleware to meet PCAST data exchange goals. We should not rip and replace existing applications and standards. We discussed one strawman idea for incorporating PCAST ideas into Stage 2 and Stage 3 of Meaningful Use. Given that the Direct project provides a means to push data securely using secure email standards, require that EHRs push immunization data in an electronic envelope containing metadata (we'll call that envelope the universal exchange language) to state and local immunization repositories as part of Meaningful Use Stage 2. This will implement the Universal Exchange Language portion of the PCAST report. ONC should begin work on connecting state level immunization registries with a person identified index and privacy controls. This will implement the Data Element Access Services (DEAS) portion of the PCAST report. The DEAS will require significant additional policy and technology work that will not be ready by Stage 2. Thus, by Stage 3 require that EHRs be able to query a DEAS to retrieve immunization data at the point of care so that clinicians can deliver the right immunizations at the right time to the right patients based on a nationwide federated network of immunization exchange. It's good for patients, good for clinicians, good for public health, and does not raise too many privacy concerns. Of course we should pilot granular privacy controls enabling individuals to control the flow of immunization information per their privacy preferences. We'll have several additional meetings before the final workgroup report is issued. I believe we're close to achieving consensus on the major concerns and next steps as we offer ONC options for incorporating the spirit of PCAST into their work. Terrific overview of the Direct Project with comments from Farzad Mostashari - Deputy National Coordinator for Programs and Policy, ONC; David Blumenthal - National Coordinator for Health IT; Aneesh Chopra - U.S. Chief Technology Officer; Mark Briggs - Chief Executive Officer, VisionShare; Glen Tullman - Chief Executive Officer, Allscripts; Sean Nolan - Chief Architect, Microsoft Health Solutions; Albert Puerini, Jr, MD, President and CEO, Polaris Medical Management, President and CEO, Rhode Island Primary Care Physicians; and, Todd Park, Chief Technology Officer, U.S. Department of Health and Human Services. The National Quality Forum (NQF) announces the conversion of 113 NQF-endorsed measures from a paper-based format to an electronic “eMeasure” format. The conversion, requested by the Department of Health and Human Services (HHS) in compliance with the Health Information Technology for Economic and Clinical Health (HITECH) Act, will allow the measures to be more easily readable by electronic health record (EHR) systems. The converted measures will be available for public and member comment through April 1, 2011. 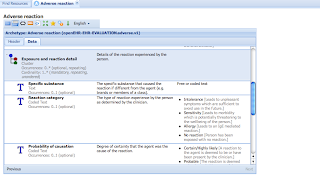 The use of eMeasures offers many benefits and efficiencies including: greater consistency in measure development and in measuring and comparing performance results; providing more exact requirements or “specifications” about where information should be collected; greater standardization across the measures; and greater confidence in comparing outcomes and provider performance. This conversion should ensure that performance measure data are consistently defined, implemented, and usable in the context of an EHR and support the meaningful use requirements. In July 2010, 44 of the 113 measures were published in PDF format in the Centers for Medicare and Medicaid Services’ Electronic Health Record Incentive Program Final Rule. Further analysis of the measures to represent them in a standard electronic format (the Healthcare Quality Measure Format [HQMF]) occurred subsequent to that publication. NQF provided updates and informational implementation guidance for those 44 measures to CMS. The full set of 113 measures, fully represented in HQMF (including proposed updates to the previously published 44 measures) is now available for public comment. The public comment period will be open for 60 days and will be followed by comment resolution directly with the original measure stewards. Comment responses and any required updates will subsequently be delivered to HHS which will determine next steps, if any. Recordings of two NQF-hosted webinars focused on how the use of health IT and eMeasures will provide unique and new opportunities for performance measurement and quality improvement will be available for purchase online. The webinars are geared toward health IT vendors and measure developers utilizing Health IT Systems and Performance Measurement Data. As the PCAST Workgroup ponders the meaning of a Universal Exchange Language and Data Element Access Services (DEAS), it is exploring what it means to exchange data at the "atomic", "molecular", and document level. See Wes Rishel's excellent blog defining these terms. 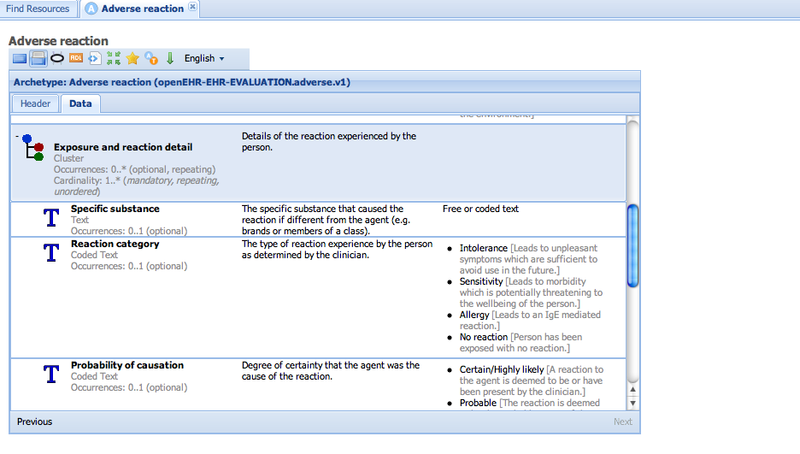 For a sample of my medical record using one definition of an atomic form, see this Microsoft Healthvault screenshot. It's clear to me that if want to exchange structured data at a level of granularity less than an inpatient/outpatient/ED encounter, we need to think about detailed clinical models to specify the atoms. Stan Huff at Intermountain Healthcare has led much of the work on detailed clinical models in the US. Here's a recent presentationdescribing his work. The UK National Health Service Connecting for Health Project'sLogical Record Architecture. "Stormy Weather" at Workers Comp Insider highlights the very best of the medical policy blogosphere. Today we celebrated another milestone on the Nation’s journey to better health care through the use of electronic health records and health information technology. We launched two pilot projects – one in Minnesota and the other in Rhode Island – for easily and securely transmitting personal health information via the Internet. These efforts – combined with others that will soon be underway in New York, Connecticut, Tennessee, Oklahoma, Texas, and California – mean we’re on schedule with a very important new tool that will soon enable health care providers to safely transmit patient data over the Internet, instead of relying on mail and fax. This is a significant step toward meeting ONC’s commitment to make health information exchange (HIE) accessible and practical for all the nation’s clinicians. HIE is one of the primary benefits that can be derived from adopting health information technology. HIE means your records can be shared among your doctors, without getting lost or delayed. It means your hospital discharge instructions can be provided instantly to your physician – and to you. It means that if you are in an accident and arrive in the ER unconscious, your record can be made available, and the care you receive can be that much safer and more effective. Since last year, HHS has been supporting a new initiative, the Direct Project, to provide an early, practical option for health information exchange. Even while other work goes on to build a more complete HIE infrastructure, Direct aimed at rapidly developing a system that providers could use soon, to support the simpler information exchange functions that they need the most. This project started only 10 months ago, in March 2010. Now, the launch of pilot programs means that we’re on schedule to take it live, and make safe, Internet-based transfers of most-used health information a reality in the United States. That will enable existing electronic exchanges to become more standardized and convenient. And it will enable many more providers, and many more data transactions, to take advantage of the HIE benefit. How was this fast-paced development achieved? Actually, by adopting some lessons from the IT sector itself. We set aside the “top down” approach that’s traditional for government. Instead we invited private companies (including some well-known competitors!) and public sector entities to work together, on a volunteer basis, to respond to the need for a leading-edge HIE option. Here was the challenge: Give us an easy-to-use tool, with consensus specifications, that will support HIE for the most common clinical information needs – and deliver a useable result for providers in less than two years. And it’s working. Employing the principles and practice of “open government,” as championed by the President, these different stakeholders worked together and delivered a product, which is now in its testing phase. These same stakeholders will go out, we hope, and develop competing products based on the very standards they worked together to assemble! It’s time for new ways of achieving the public good. The national push to health information technology is one new horizon. And the “open government” principles that today are delivering an entry-level HIE system, ahead of schedule, are yet another. It is indeed a milestone worth celebrating. The Direct Project has taken off, with the first-in-the-nation production use of the Direct Project for secure direct clinical messaging. VisionShare has enabled Hennepin County Medical Center to send immunization information to the Minnesota Department of Health. Testing of immunization (or syndromic surveillance) communication to a public health agency is a requirement for Meaningful Use incentives. Rhode Island Quality Institute has implemented provider-to-provider health information exchange supporting Meaningful Use objectives with Dr. Al Puerini and members of the Rhode Island Primary Care Physicians Corporation. And innovative and high-value pilot projects in New York, Tennessee and California are scheduled to go live later this month. 29 Health IT Vendors now plan to connect using the Direct Project. A consensus-approved Direct Project Security Overview and Direct Project Overview Presentation have been published. A Direct Project briefing by Dr. David Blumenthal (National Coordinator for Health IT), Aneesh Chopra (U.S. Chief Technology Officer), and a team of federal and industry stakeholders will take place at 12 noon ET Wednesday February 2. Live twitter feed of the event will be posted at #DirectProject. Hennepin County Medical Center (HCMC), Minnesota’s premier Level 1 Adult and Pediatric Trauma Center, has been successfully sending immunization records to the Minnesota Department of Health (MDH). "This first-in-the-nation Direct Project for clinical exchange is an important milestone for Minnesota and a key step toward the seamless electronic movement of information to improve care and public health," said James Golden PhD, Minnesota’s State Government HIT Coordinator. Recognizing Minnesota's leadership in delivering high-quality, cost-effective healthcare, U.S. Senator Amy Klobuchar said that “this is the type of innovation that can help strengthen our health care system by reducing waste and improving quality. We need to continue to improve our health care system by continuing to integrate information technology to better serve patients and providers.” VisionShare, a company headquartered in Minneapolis, serves as the health information services provider (HISP) connecting HCMC to the Minnesota Department of Health. In its role as a HISP, VisionShare will expand this pilot project to additional providers and other states, including the Oklahoma State Department of Health, which has already committed to participation in the program. To demonstrate simple, direct provider-to-provider data exchange between PCPs and specialists as a key component of Stage 1 Meaningful Use. Discussing RIQI’s collaborative approach to health IT, Laura Adams, President and CEO of RIQI said “Direct allows the Quality Institute to be on the cutting edge – providing health information exchange via currentcare, delivering the efficient rollout of technology through the Regional Extension Center, and enabling and measuring real patient outcome improvements in our Beacon Community.” Throughout the Pilot, RIQI has worked with a number of key partners, including Arcadia Solutions (program manager and systems integrator), Inpriva’s Health Information Service Provider solution that supports the security, trust, and Rhode Island-specific consent laws, InterSystems, and Polaris Medical Management’s EpiChart. Aneesh Chopra at the Roundtable on Federal Government Engagement in Standards on January 25, 2011 said "I am pleased to report today... the very first Direct specification email message occurred between a county public hospital in Minnesota called Hennepin County and the state Health Department on the issue of a patients immunization record, which is a requirement as part of our meaningful use framework, supported by a commercial vendor called VisionShare". Speaking of the collaborative nature of the unique public/private collaboration of the Direct Project, he said "This voluntary process has turned this around and in fourteen months [from the time a physician first raised the need to the HIT Standards Committee] the idea is real. And dozens and dozens of vendors will have this service widely deployed across 2011." Several other Direct Project implementations are scheduled for take-off later this month. New York, Tennessee and California are among the states where Direct Project will be enabling directed health information exchange among a wide variety of participants. And later this year, look for Connecticut and Texas to join their ranks. MedAllies, a Health Information Service Provider (HISP), will launch a Direct Project pilot to demonstrate the delivery of critical clinical information across transition of care settings in a “push” fashion that supports existing clinical workflows in the Hudson Valley of New York. MedAllies will implement the full Direct Project infrastructure, including both the required SMTP backbone, as well as support for the XDR elective protocol. MedAllies is working with many stakeholders, including EHR vendors Allscripts, eClinicalWorks, Epic, Greenway, NextGen and Siemens, and clinicians in both ambulatory and hospital settings. Technical integration with leading EHR and Hospital Information System vendors is underway with pilot exchange alpha sites beginning to go live in Q1 2011. In this project, CareSpark, a non-profit regional health information exchange supported by the Tennessee State HIE, and the U.S. Department of Veterans Affairs (VA) seek to demonstrate Direct Project-based health information exchange between a federal agency and providers in a private-sector HIE. The main focus will be on facilitating an improved process for exchanging referrals and consultation reports between VA providers and private-sector providers in east Tennessee and southwest Virginia. It will demonstrate two Direct Project user stories: Primary care referral to specialist and Specialist sends summary care information back to referring provider. Text-based mammography interpretation reports will be exchanged utilizing source code made available from the Direct Project workgroups. The project scope will also demonstrate the routing of mammography referrals from the VA to the private sector provider. It is also the intent of the participants that this project once fully vetted could be expanded to additional VA sites. The pilot will exchange information between two different Health Information Service Providers (HISPs) - the VA and CareSpark, respectively. Redwood MedNet provides health information exchange services in rural Northern California. The Redwood MedNet Direct Project pilot has one goal: to deploy directed secure messaging for production data delivery in support of meaningful use measures. Three meaningful use messaging patterns are in development. The project will establish a standards-based way for participants to send authenticated, encrypted health information directly to known, trusted recipients. As an HIE in a rural area, participants in the Redwood MedNet directed messaging project will include small practices, community clinics and small hospitals, as well as the State immunization registry. The discharge summary may also incorporate use of a patient controlled health record (PCHR). Medical Professional Services (MPS) is a clinically-integrated, multi-specialty IPA in Connecticut with approximately 400 physician members. Along with several partners, MPS is working to demonstrate successful exchange of laboratory results back to the ordering provider and exchange of referral information and summary care information between providers, a local hospital (Middlesex) and a multi-site FQHC (Community Health Center, Inc.). Electronic exchange of data is a challenge in this setting because of the diversity of MPS physician practices, EHRs and HIT tools in place. The goal set for this pilot is to enable MPS physicians to receive lab results back from Middlesex Hospital and Quest Diagnostics, to exchange referrals with Middlesex Hospital, and to exchange referrals and summary care information among MPS primary care and specialty physicians. Results and referral information will be exposed through MedPlus, eClinicalWorks, Covisint, or through a secured e-mail client. In addition, physicians will have the ability to securely send lab results and care summaries to their patients via Microsoft’s HealthVault Messaging Center. Today, direct communication of health information from a care provider to another healthcare stakeholder is most often achieved by sending paper through the mail or via fax. ONC’s Direct Project (formerly NHIN Direct) benefits providers and patients by improving the direct transport of structured and unstructured health information, making it secure, fast, inexpensive and, for some applications, interoperable. Using Direct Project addresses, a care provider can send and receive important clinical information, connecting to other healthcare stakeholders across the country. For more information, see the Direct Project website and keep up with the latest on Twitter at #DirectProject. Also, at noon (EST) on February 2, hear about the Direct Project from Dr. David Blumenthal, National Coordinator for Health IT, Aneesh Chopra – U.S. Chief Technology Officer, Mark Briggs – CEO VisionShare, Glen Tullman – CEO Allscripts, Sean Nolan – Distinguished Engineer and Chief Architect Microsoft Health Solutions Group, Dr. Al Puerini Jr. – President and CEO Polaris Medical Management and Rhode Island Primary Care Physicians, Doug Fridsma - ONC Director, Office of Interoperability and Standards and Arien Malec - ONC Direct Project Coordinator. Rich Elmore serves as the Direct Project Communication Workgroup leader and Vice President, Strategic Initiatives at Allscripts. Paul Tuten participates as the Direct Project Implementation Geographies Workgroup Leader and is Vice President, Product Strategy & Management at VisionShare.